This entry was posted on December 23, 2016. Bookmark the permalink. 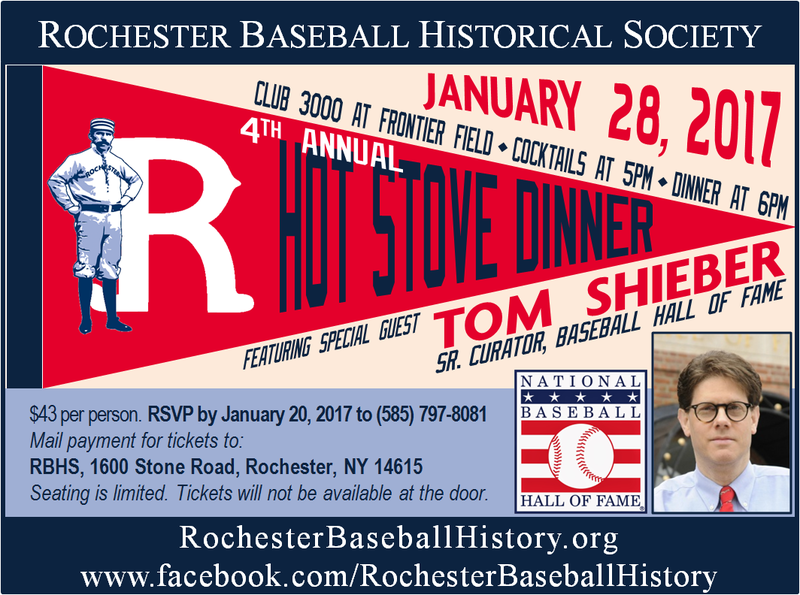 EVENT ANNOUNCEMENT: 4th annual Hot Stove Dinner, featuring special guest Tom Shieber, Senior Curator for the National Baseball Hall of Fame. Tickets are $43 per person. RSVP by January 20, 2017 to (585) 797-8081. Mail payment for tickets to: RBHS, 1600 Stone Road, Rochester, NY 14615.